Designed to stand up to daily use. 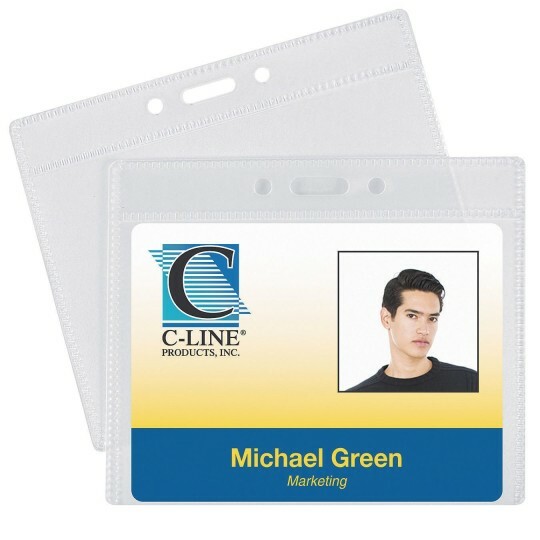 Horizontal badge is 4" x 3"
Sturdy polypropylene ID card holders are designed to stand up to daily use. Textured, PVC free material keeps card from sticking. Prepunched for use with strap clips, lanyard, reels, chains and more. Paper inserts for badge holders not included. Horizontal badge is 4" x 3". Pack of 50.